It's pretty hard to define modern architecture because it has such a wide range of meanings. 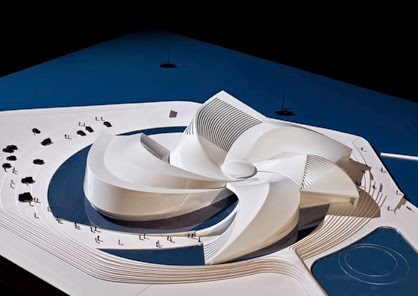 Usually something of modern architecture is simple and part of the "overarching" movement. Some people believe that it flows with the advancing technology of our culture, while others view it as result of social and political matters. Whatever the case may be, modern architecture is certainly very engaging to look at. The Blue Planet located in Denmark and is actually an aquarium that has over 20,000 fish and aquatic animals! 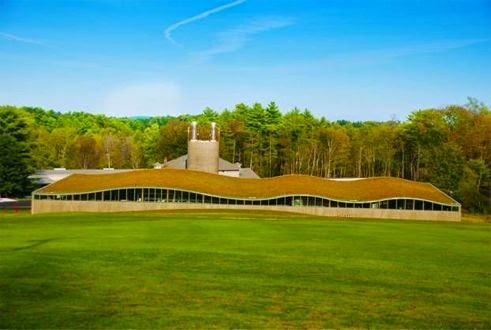 It was designed by an architecture team who says that the design "unites the natural elements of water, air and earth." 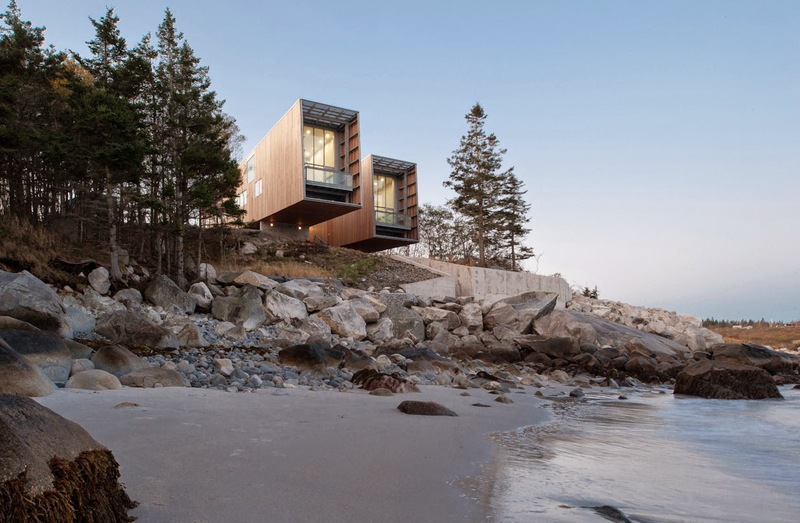 The two hulls located in Nova Scotia, Canada and is a private home. The two structures are located on the coastline and overlook the water. The MacKay-Lyons Sweetapple Architects were the ones who designed this lovely place! It is made of steel and wood. 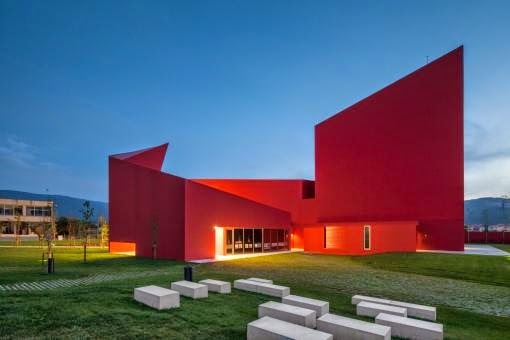 House of the Arts is located in Miranda do Corvo, Portugal and was created by a group of architects called Future Architecture Thinking. It was designed to represent the meeting of two different environments, urban and rural. The bright red color and slanted roof design of the building greatly stands out in the town against the mountain backdrop. It was built also to be a landmark, a place where people meet and create. The Hotchkiss Biomass Power Plant is located in Lakeville, Connecticut and was created by the Centerbrook Architects and Planners. It was meant to integrate with the landscape. The building burns harvested wood chips that heats the entire Hotchkiss school, about 85 buildings. The wood chips are a by-product of a forest that is sustainably harvested. The goal of the school is to become a carbon-neutral campus by 2020. "What can I do with an engineering degree?"